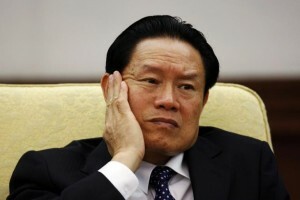 On 3 April 2015, Chinese state media announced that charges had formally been made against former Politburo Standing Committee Member and Public Security Chief Zhou Yongkang. Zhou, who has not been seen in public since December 2013 and will face trial in Tianjin at a future date unknown, has been charged with bribery, abuse of power and the intentional disclosure of state secrets, according to media sources. For Tibetans and supporters, Zhou is notorious for a number of reasons; he was a well-known hardliner in Hu Jintao’s Politburo Standing Committee who, along with media tsar Li Changchun, pressed Hu to hold firm against international criticism of China’s brutal crackdown on the 2008 Tibetan Uprisings. And as Party Secretary of Sichuan Province, Zhou was the leader in charge when the state unleashed its persecution, arrest and sentencing of Tenzin Delek Rinpoche a highly respected Tibetan lama recognized by His Holiness the Dalai Lama and much loved community leader. Tenzin Delek Rinpoche was arrested 13 years ago, on 7 April 2002, and charged with “crimes of terror and incitement of separatism”. He was sentenced to death, with a 2-year reprieve, on 2 December 2002 by the Kardze Tibetan Autonomous Prefecture Intermediate People’s Court. His conviction was based on a confession obtained under torture by his alleged co-conspirator, Lobsang Dondrup, who was found guilty of “causing explosions” in Chengdu and executed on 26 January 2003. Tenzin Delek’s case was commuted to a life sentence in 2005, and subsequently reduced to 20 years. During the trial, no evidence other than the confession of Lobsang Dondrup was offered into evidence and Tenzin Delek steadfastly maintained his innocence throughout. To date, no court documents have been released, shrouding the proceedings in secrecy. Zhou Yongkang had numerous opportunities, including when he was promoted to Head of the Politics and Law Commission, to overturn this miscarriage of justice and ensure that Tenzin Delek Rinpoche was released. He remained unmoved despite appalling risks taken by Tenzin Delek’s community and family members – who protest in their thousands and attempted to travel to Beijing to petition for his release. In 2014, Tenzin Delek’s family made an official application for medical parole in 2014. Authorities have not responded to the application nor have they granted visitation rights to the family. Tenzin Delek is entitled to both visitation rights and medical parole under Chinese law. Tenzin Delek Rinpoche is eligible for medical parole under Chinese law, being chronically unwell and having served over seven years of his sentence. 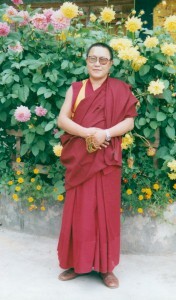 Tenzin Delek Rinpoche has been in prison for 13 years for a crime he did not commit. The campaign to press for his release on medical parole does not in any way undermine the fact that he is innocent and should not have been imprisoned in the first place. Read more here.